Dark Sky Photo Project: Oooo....what is it? drag it straight down for the answer--> *Nahh, just a (shaky) hand-held shot of the moon. 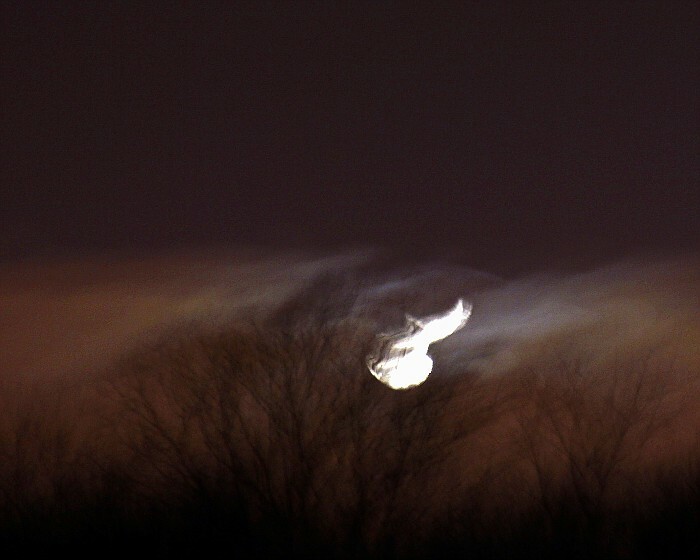 possibly a white dove or some kind or stevie nicks ghost?